Handmade boho style baby bloomer in bright print with vintage side detail. 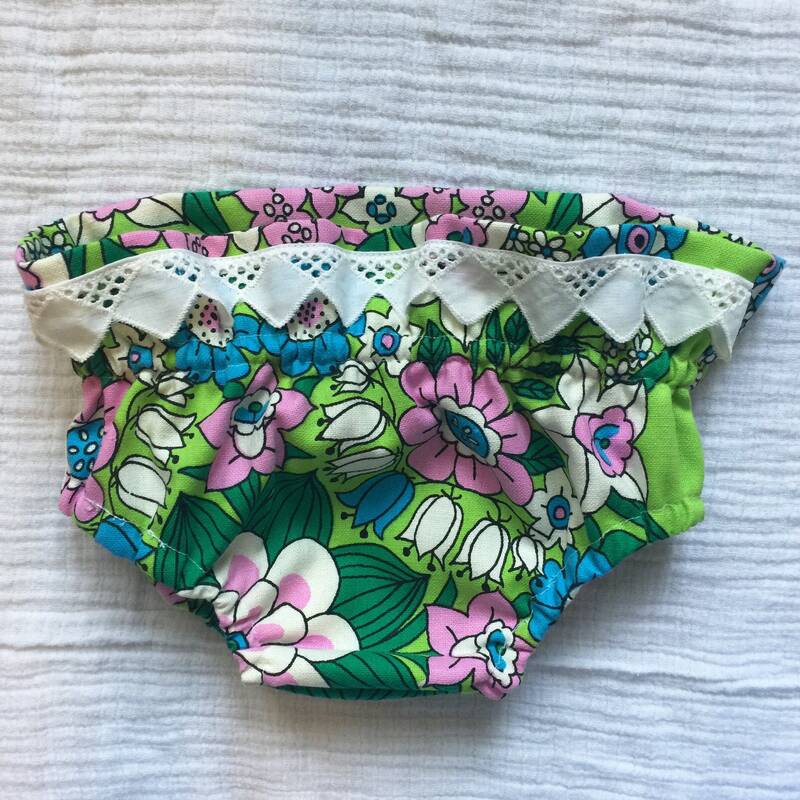 Bloomers are made using upcycled vintage materials and are handmade in Austin, TX. 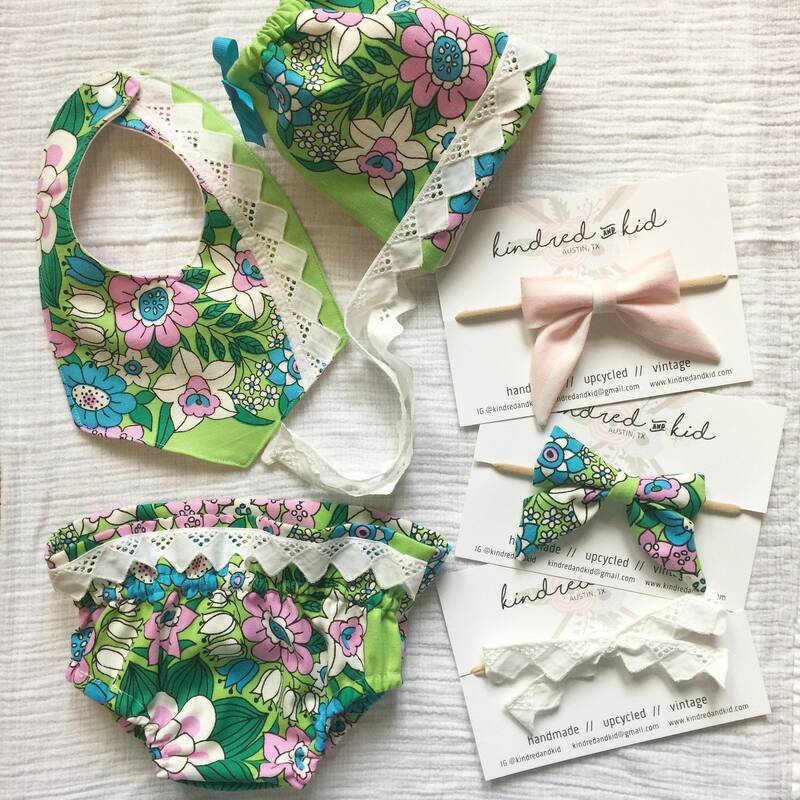 Matching bow and bibs available!